An Interview with Jacquetta Megarry of Rucksack Readers. As part of our “Wilderness Week”, we thought it would be interesting to talk to a publisher who specializes in ‘outdoors’ publications – especially walking and climbing guides – Jacquetta Megarry of Rucksack Readers. Rucksack Readers, founded in 2000, is based in Dunblane with 14 titles covering long-distance walks (Scotland, Ireland and worldwide) and its ambitious Rucksack Pocket Summits series on how to climb the seven summits of the seven continents (2 are out, with 2 more due in 2008). 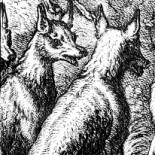 VL: Welcome to Vulpes and thank you for sparing the time to answer my questions. Firstly, I have to say that although it’s a bit of a niche market, it’s still quite a crowded field. 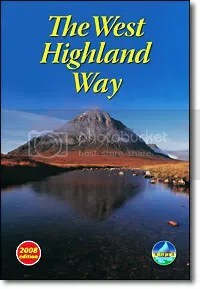 For instance there are at least four or five other guides to – say – The West Highland Way. Without giving away any trade secrets, how do you hope to persuade someone to buy YOUR guide instead of (or possibly as well as) somebody else’s? That’s easy: all our books are waterproof, they have drop-down topographic maps and they are lightweight and rucksack-friendly. Our book weighs just 175 grams (that’s 6 ounces in “old money”) and we work hard to keep them so short. The lightest of the ‘competition’ is from Cicerone (195g) with Trailblazer next (240g) and the official package from Mercat a whopping 400g-plus. Of course the longer books have more detail, and some walkers will prefer that. The whole point of having a range on offer is that the market can decide. VL: I really like that drop-down map feature. There are many different types of traveller though – from the complete novice to the seasoned trekker. Do you target specific groups, or attempt to cater for all? Our books are for walkers and climbers. The kind of climber who is working on a list from Kilimanjaro to Everest is obviously a different readership from the weekend walker who wants to complete their first long-distance walk. Our walking series caters for the full range, from novices to experienced hikers to the strong, self-reliant campers who carry heavy loads. But we do keep our Notes for Novices separate from the books, and they’re available free on our website. Putting them in each book would make for too much repetition: you’re only a novice once! We also flag routes that aren’t ideal as your very first long walk, because not everybody understands that walking day-on-day makes different demands from a weekend hill-walk. VL: In your field, more than almost any other branch of publishing, reader feedback must be important to you. How much do you get, and do you respond to it? Loads, mainly by email and we respond the same way, normally within 24-48 hours. We have 1070 opted-in subscribers to our newsletter, about 230 posts on our forums (electronic notice-boards) and the rest comes by phone and email. People tell us about their experiences, their problems and they ask and answer each other’s questions. VL: I know it will vary – probably quite dramatically – depending on what sort of guide it is, but how long does it take to produce a completely new one from scratch? Typically it takes us four to eight months from the author’s research trip to publishing the book, so about six months on average. However, the lead-time between deciding to include a title in our list and having the author do the walk or climb the mountain could range from less than a month to over a year. VL: And something I’ve always wanted to know … are the facts in your guidebooks – details of routes, local history, etc – checked by a third party for accuracy? Not necessarily, as if the author is reliable, and the route inaccessible, it might not be feasible or necessary to send somebody else in their footsteps. If you can’t trust your author, you shouldn’t commission him or her. However each book is reviewed by a peer expert (usually from PDFs) as well as being proofread externally. By the time we are getting near to repro, I’ll have seen far too many versions to spot discrepancies, and a fresh eye is invaluable. We never skip that stage. VL: Once a guide has been published, how often do you reckon to update it – which presumably involves covering the ground again? The planned shelf life is about four years, after which we do a fully revised edition, never a reprint. If we let it go any longer, there could be too many route changes and updates, but if it’s much less, too many resources would be going on revised editions at the expense of new titles. Our list is growing constantly, and the challenge of new routes is our lifeblood. 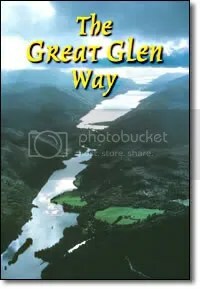 But there have been exceptions; for example, in 2002 we had to bring out our second edition of the Great Glen Way within under a year of the first because of the amount of publicity it received from its Royal opening. 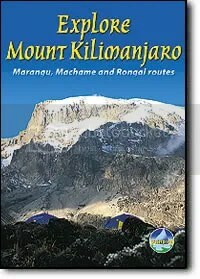 Another exception is Kilimanjaro, which I’ve so far summited three times and have just, in a mad moment at London Book Fair, committed to climbing again by a fourth route in June for our new pocket guidebook. It’s already been through 3 editions (2001, 2002 and 2005) but we need the new version to be as up-to-date as possible (and more so than the competition!). Our American distributor has decided to come too, and if we succeed it has to be good for our sales in North America. VL: And if you fail? VL: Ah. Sort of “Come home with your shield or on it” … So, how many new guides and/or updated editions do you aim to produce every year? 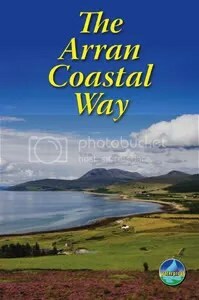 This year, we’ll have four new titles (The Arran Coastal Way, and both Everest and Kilimanjaro in our Rucksack Pocket Summits series), and (a new departure for us) an adventure novel for children called Light on Dumyat. VL: That’s interesting … we’ll have to keep an eye open for it. Tell me, did the Countryside and Rights of Way Act 2000 (the ‘Right to Roam’) result in demand for new guides … or do people actually prefer to stick to the footpaths? VL: The damage that mankind in wreaking upon the environment is, of course, causing increasing concern. How do you address it in your publications? Although our books are waterproof, they are biodegradable. We keep them short by deliberately omitting a mass of detail that most people get from websites nowadays. And of course, all our books carry environmental messages, we hope in a non-preaching tone! Long-distance walking trips tend to low-impact holidays anyway. VL: Is the market fairly buoyant? Are there more publishers in your field now than when you started, or fewer? There are more small publishers springing up all the time. Modern IT hasn’t undermined the book, it has reinvented it. So we are in a world of self-publishing, short run printing and print on demand. But our format (map-flat, wiro binding, full colour, waterproof paper) demands long print runs to keep the prices low. VL: How confident are you about the future? If we weren’t both self-confident and ambitious, we couldn’t have weathered our first two years – what with the deep discounting, the Foot and Mouth epidemic and a very steep learning curve to get up. Of course e-books, podcasts and GPS are important new ways of presenting information, but a printed guidebook needs no batteries, satellites or signal, which is a comfort when you’re at altitude or in the wilds. The problem with that idea is that absolute beginners don’t know that they need advice! Walking is such a natural form of locomotion that a toddler can do it. But walking in hostile conditions, on difficult terrain and at altitude, day on day for a week or more – that can be demanding and is covered by advice in our books and in our Notes for novices. VL: And finally … would you like to nominate your three favourite ‘outdoors’ books – with reasons? No Picnic on Mount Kenya by Felice Benuzzi: a tale of a heroic climb by Italian POWs, told with modesty and a great sense of humour. My own copy is a beautiful 1952 hardback, but now there’s a new paperback (2005) and it’s very affordable. Life and Limb by Jamie Andrew: the extraordinary story of a man who overcame a tragic accident and went on to rebuild his life and inspire others. I wrote the first review of it on Amazon.co.uk because I was so impressed, and later met him when we were both independently travelling to climb Kili in 2004. 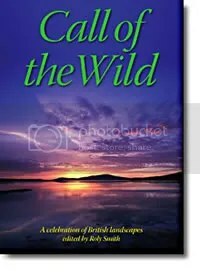 Call of the Wild edited by Roly Smith: a celebration of unexpected wild places in the British Isles, our very first hardback. This is a blatant plug. VL: I think we’ll allow that … it IS a lovely book. The review is here. Interesting choices – the Benuzzi one is completely new to me. I must see if I can get my hands on a copy. That was a fascinating read … and an interesting change of pace and direction for the site. It takes me all my time to get up Pendle … can’t imagine tackling Kilimanjaro, by any route. Good luck to the lady. BTW – I’ve read No Picnic on Mount Kenya, and it IS a great book. This is boggling. Not only publishing books but having to climb the things first! Good luck with your trip. And the idea of waterproof guides with maps etc sounds very good notion indeed (although I don’t think you’ll see me up Kilimanjaro anytime soon.) The Scotland guides sound lovely. Forget Kili, I only mentioned it because being unexpectedly comfortable at its summit was the experience that led me to put my money where my mouth was, and publishing long-run all-colour books means taking a lot of risk upfront! What I’d like to hear is whether other VL readers have warmed to the life-changing experience of living more simply for a week, with minimal possessions carried on your back, slowing down the pace of life and tuning in to nature. For me, that’s the experience of long-distance walking, whether at sea-level or at altitude, and it refreshes my spirit and helps me to review my priorities. I haven’t done it for a while, but yes I understand what you’re talking about. It’s very liberating having that degree of freedom, to do what you want, go where you want and when you want to go there. Yes, I’m in. I’m booked for a walking holiday and cannot wait. Not quite Kilimanjaro, but who knows, maybe one day. Great interview. Thanks to both Mhairi and Jacquetta. Call of the Wild is on my shopping list. I like to keep it simple, too. My idea of a perfect holiday is miles from anywhere, self-sufficient with no need to go anywhere near a town or village for a couple of weeks. The freedom to do nothing with an absolutely clear conscience is a real luxury. If the review makes me want to grab my knapsack and go for a hike, I can only imagine how much more the books would. These sound wonderfully practical and hats off to making them waterproof. I wish birding guides would do that! It was interesting learning how they go about putting a guidebook together and I hope the publishing house continues to do well. Ms. Megarry has an inspiring attitude and I wish her much luck with the Big Climb in June. This entry was posted on April 25, 2008 by Moira in Entries by Moira, Interviews: publishers, Non-fiction: essays, Non-fiction: nature, Non-fiction: travel and tagged Jacquetta Megarry, Kilimanjaro, long distance footpaths, Rucksack Readers, trekking, walking guidebooks.